FAQs About Car Removal Companies in Australia . Car removal and recycling companies are the talk of the town. But, many Australian citizens are worried of how exactly these companies work. In today’s post, we will be answering frequently asked questions regarding these cash for car companies, so you too can turn your junk vehicle into cash. Q1- How Cash for Car Companies Work? The process is pretty simple and easy. You call them, describe your vehicle’s condition or schedule a time for the company to inspect the vehicle. They make an offer and if you accept it, they will come to tow your car away offering you cash on the spot. Yes, that is all! No pressure and no haggling over the price. Also, the quote is provided free of the charge, so you can always call them and ask for a quote to be sure that they are paying the right money. Q2- What is the Process? 1. Cash for Car Removal companies offer cash Quotes online or on phone prior to it being inspected. This allows you the advantage of not wasting time and energy in getting your vehicle to different junkyards and negotiating the price. 2. They will offer you instant cash on the spot. The concept of car removal company is to sell your vehicle quickly and not having to wait for the payment. 3. They bring their towing truck along with them and do not charge you to remove your vehicle. 4. Same day car removals. They offer Scrap Car Removals within a few hours of you agreeing on the price quote. Q3- How to Find a Car Removal Company? Finding a car removal company is easy. Just search the internet for a legitimate company in your neighbourhood who has its address and contact information mentioned on its website. Also look out for reviews and feedback that previous customers may have written. Ask your friends & family if they know a reliable company that they have tried. This will give you an idea of how others felt with regards to their transaction with the company. Q4- How Much Cash Will You Get for Your Vehicle? The amount of money you can make with your car depends on company to company. The price will also highly depend on the condition of your vehicle whether it is used, junk or roadworthy. The appraisers will determine the value by evaluating how much it can make if resold in the market, as spare parts or as metal. 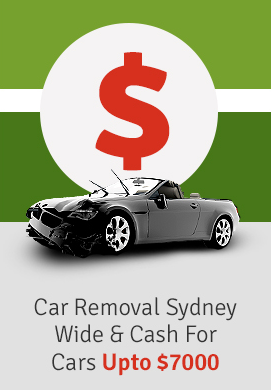 Most companies pay anywhere from a few hundred dollars to $10K for Used & Scrap Cars in Sydney. Q5- How Do They Dispose off Scrap Cars? Your vehicle is disposed off by recycling it. These companies practice green auto recycling in which the vehicle is stripped and recycled as used parts and accessories. The fluids and fuel, which can be harmful are disposed off in an eco-friendly manner. Q6- What Do I Need To Sell My Car Today? All you need is a phone to make a call to the company and then wait for them to arrive at your location to remove your car and leave you with cash in hand. For more details, call Metro Car Removal at 0422 600 833.